Zoids Generations has received a very rough update, completing Chapter 1. These translations are rewritten from Google Translate, so expect some errors. The general gist should come across in most cases, and I hope it will still benefit some fans who aren't able to read the original book. In addition, the tense of Zoids Generations is a little unclear. While some parts are written in past tense, some parts make more sense from the active perspective of the character. This was difficult to pin down, but for the sake of consistency we've opted to just stick to the present tense. There may be cases where I accidentally switched back to past tense. Feel free to point out those (and any other) mistakes. The few scenes that intentionally use past tense are those describing what happened between scenes. We've added a Concept Art page to the New Century anime section! This includes an assortment of 47 pieces of production sketches and renders, featuring various Zoids, characters, and other items or locations. Quick descriptions for the Japanese DVDs, Volumes 1 through 4 have been added to the Chaotic Century anime section. These reviews contain over 200 pieces of concept art in a small resolution, so I highly recommend checking it out. A big thanks to Falcarius for providing the images used in these overviews! The third volume of Zoid Wild's "Book of Adventure" was distributed in Japanese stores recently. This covers the current and upcoming model kits. Though we don't have more information on it at this time, you can probably find it on sites like Yahoo Japan and Mercari. The first limited armor for Zoids Wild: Battle Card Hunter has been released! This kit was released through the Battle Card Hunter arcade game in Japan. During this event the machines may drop an SR Card for the Wild Liger Blade. The right side of this card can be separated along the perferated line, and traded in as a ticket at select stores to receive the armor parts set. Like the Wild Liger Evil Armor it was released in a baggy. Though the pieces don't come in a box, they even did a box art style mockup image! A live stream of the event was posted on CoroCoro's Youtube Channel. Gallagher's Personal Gilraptor hit preorder stores quite a while ago, officially dubbed the Gilraptor Commander Machine. It features a purple body with black armor, yellow claws/blades, and red caps. The kit has a stock price of 3,000 Yen. TT posted a video of the kit in action, and you can view the stock images and box art on the TT Mall. We've gone ahead and added it to the model kit section, with the basic info snippets. Aside from the Wild Liger Blade mentioned earlier, BCH is having a collab with Molly Fantasy stores. For a limited time they're distributing the Grachiosaurus Supreme Ver. and the Gilraptor Death Metal Ver. The Wild Rare Stegosage is also appearing as a limited time boss battle. A korean website called gmarket has started stocking some of the various Zoids Wild merchandise, including sticker books, lunch boxes, game books, coloring books, and more! There are a ton of items to choose from, and they're all quite cheap, so take a look! On March 20th, Zoids Bases in Japan (that is, select stores) started passing out Wild Liger "Black Flame Ver." stickers for purchases over 2,000 yen. This sticker sheet is, once again, for the Wild Liger. The next set of Assemble Models for Zoids Wild have popped up for pre-order! This set includes the Fang Tiger, Gilraptor Commander, Dimepulsar, and Wild Liger. Which is a little unusual because the Wild Liger showed up before in the first issue. You can pre-order this on some sites for 4,104 ish yen (not including discount) for a box of 10. This means there will be some extras. The upcoming CoroCoro limited, the Wild Liger Extreme Release Form, has seen some new photos. These are posted over on the Zoids Official twitter. Zoids Wild: King of Blast has confirmed 6 new Zoids to be released in a free DLC available this summer! So far we've seen the Grachiosaurus, Hunter Wolf, and Dimepulsar. A general overview video was posted on the TT Youtube Channel, as well as some individual commercials. See their videos below! The Zoids Wild Anime twitter has posted some new renders from Zoids Wild. This includes the Dilophos Wild Blast, the Spideath's Wild Blast Mode and its pilot, Youkon. They also published some of Arashi's Concept Art. 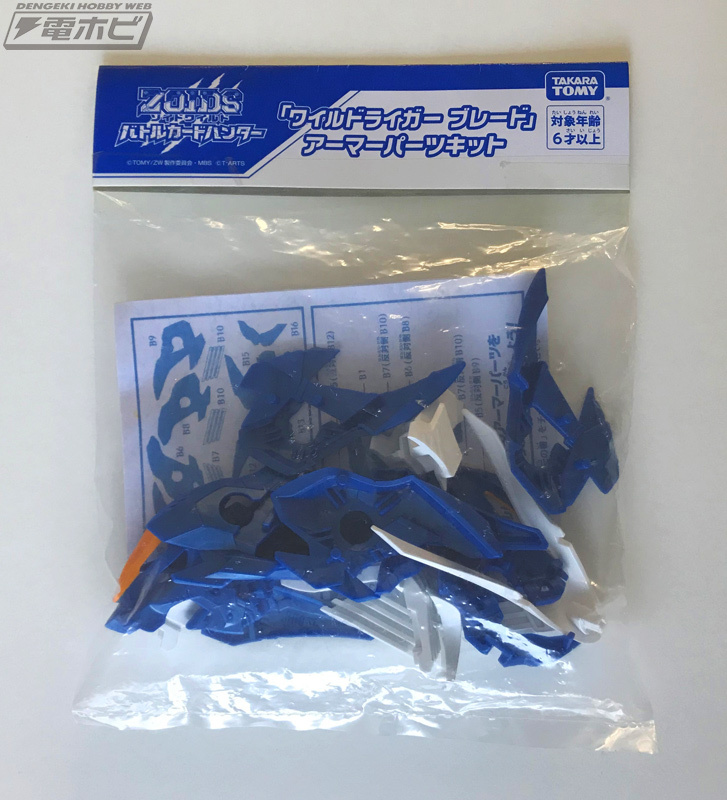 The HMM Liger Zero "Marking Plus Ver." has sold so well that they've already decided on a reissue, even before the kit was officially released. The reissue is scheduled for August, for 6,804 Yen~ The upcoming event on the 27th will be their new kit announcement! Participants are also able to receive a special badge. Older news posts are archived here! | Read official release news only!